A trio of mating California newts (Taricha torosa), photographed on the Quail Ridge Reserve in Napa Co., CA. 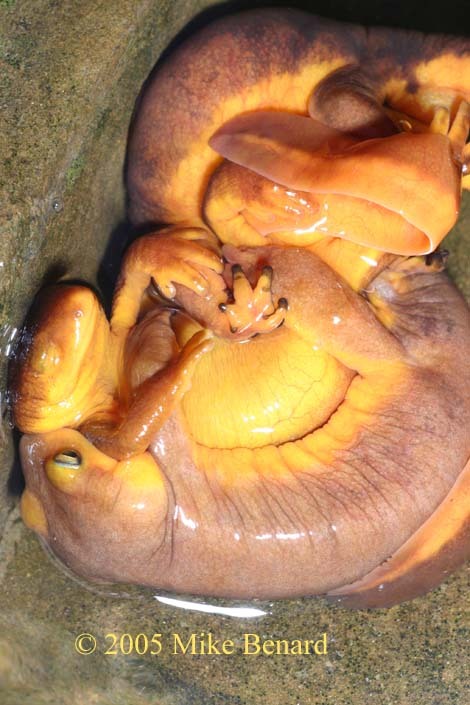 The female newt is in the middle, and is being grasped by two male newts. Such frenzied 'mating balls' are common in many amphibians species.